The expert meeting in the field of beta blockers use, organized by the Clinic for Internal Medicine MMA was held at the Military Medical Academy. The Deputy Head of the MMA Col Prof. Dr Dragan Dincic delivered the introductory lecture on selective beta blockers and their different pharmacological characteristics. He spoke about the advances of beta blockers and numerous indications for their use based on the recommendations of the international healthcare organizations and large clinical studies, and also the risk factors and side effects in the therapeutic practice were analyzed. Beside the most important use of those drugs in cardiological diseases and based on the fact that one third of all patients with heart insufficiency suffered also from respiratory diseases the indications and recommendations for beta blockers prescriptions in patients with the previous respiratory diseases reports were discussed. 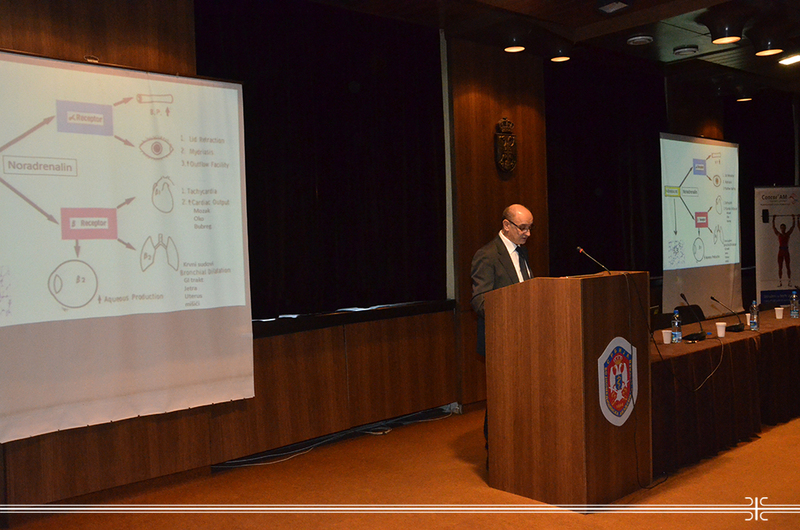 Series of lectures on that significant group of drugs and selectivity of the most frequently used among them in the treatment of cardiological diseases were held in continuation of meeting and the speakers were the MMA Head of the Clinic for Urgent Internal Medicine Lt Col Prof. Dr Slobodan Obradovic, Head of cardiology service of the Clinical centre of Zemun Prof. Dr Biljana Putnikovic and the director of the Clinic for Cardiology of the Clinical centre of Serbia Prof. Dr Arsen Ristic.